← City Garden Ideas – Happy Spring and Topping 10,000+ Views! 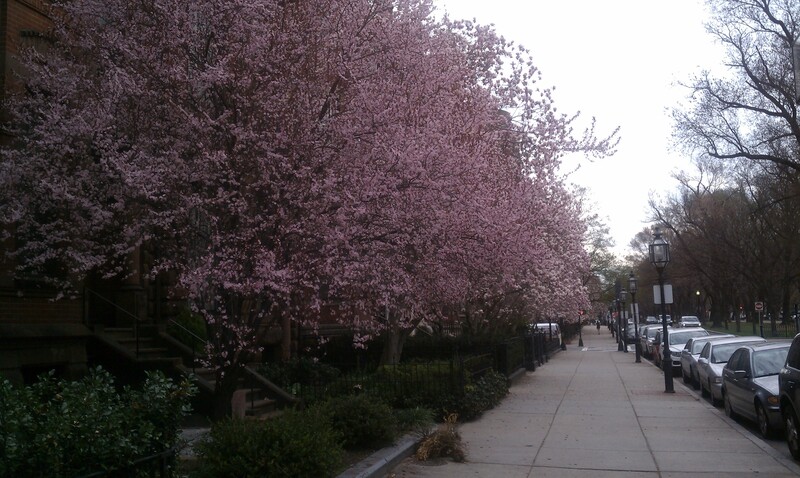 Just had to share a few photos of the trees blooming along Commonwealth Avenue. High temperatures in mid March pushed open the lush petal cups. This year the blooms seem even more eye-popping and the sweet aroma intoxicating. 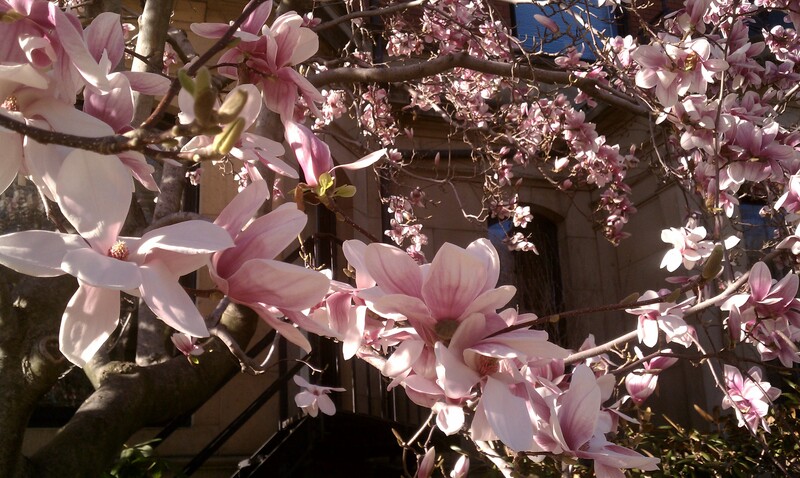 These trees were planted in 1963 through the efforts of the Garden Club of the Back Bay’s Laura Dwight. Thank you Laura! Up and down the street, people were whipping out camera phones and snapping fancy lenses on more professional cameras to capture the showy blossoms. Some just stood still, eyes closed, inhaling the scent. The sight slowed me down and I took a breath with them. Unfortuntately, the falling temperatures last week shocked the fragile petals and most are now droopy and dappled with brown. Don’t despair! The trees on the north side of Commonwealth Ave are just now coming into bloom. It’s well worth a trip in to Boston to see them! Beyond the magnolias, daffodils, azaleas, pansies, crocuses and tulips are in bloom as well and will vie for your attention. 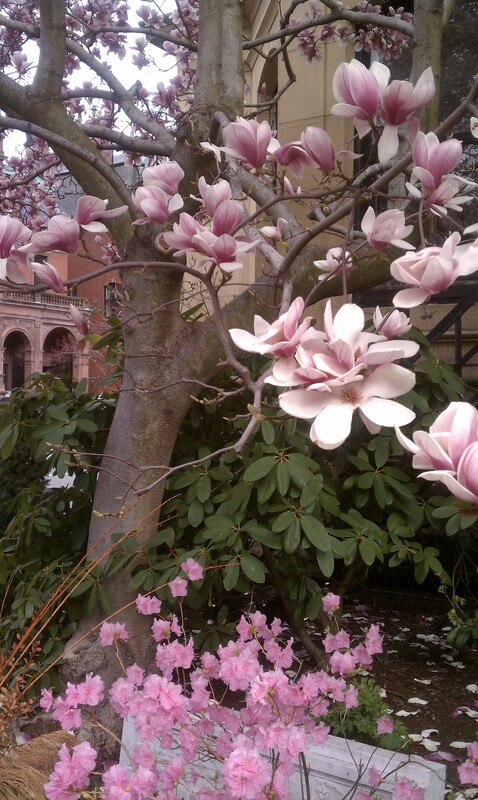 The Garden Club of the Back Bay is celebrating its 50th anniversary by sponsoring the sale and planting of 50 ‘Moon Glow’ white magnolia trees. They are available at a special price of $500 per tree and will be planted in the spring of 2013. The club will arrange for an arborist to plant the trees in front gardens with an open site. 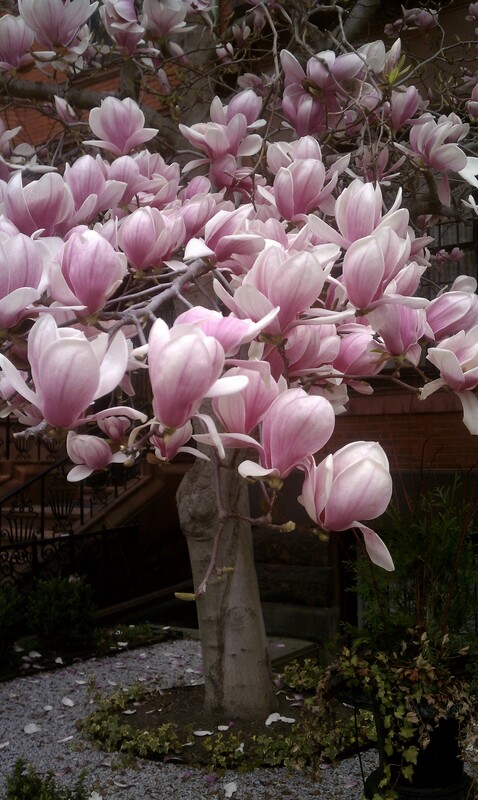 The club will also subsidize the planting of magnolias in other open sites in the neighborhood. I am a member of the Garden Club and wholeheartedly support this effort! To read more about the project, and print an order form, click here.